There is nothing more beautiful than a sky full of stars, and the same can be true for a Christmas light display or event venue filled with star light decorations. This guide will introduce you to the different types of star lights and provide decorating inspiration for Christmas and year round enjoyment. Each type of star light has its own unique beauty and distinguishing characteristics. Some star lights can fold up for easy storage, some look just as amazing during the day as they do at night, and others can even be embellished or painted to make a design that is completely your own. 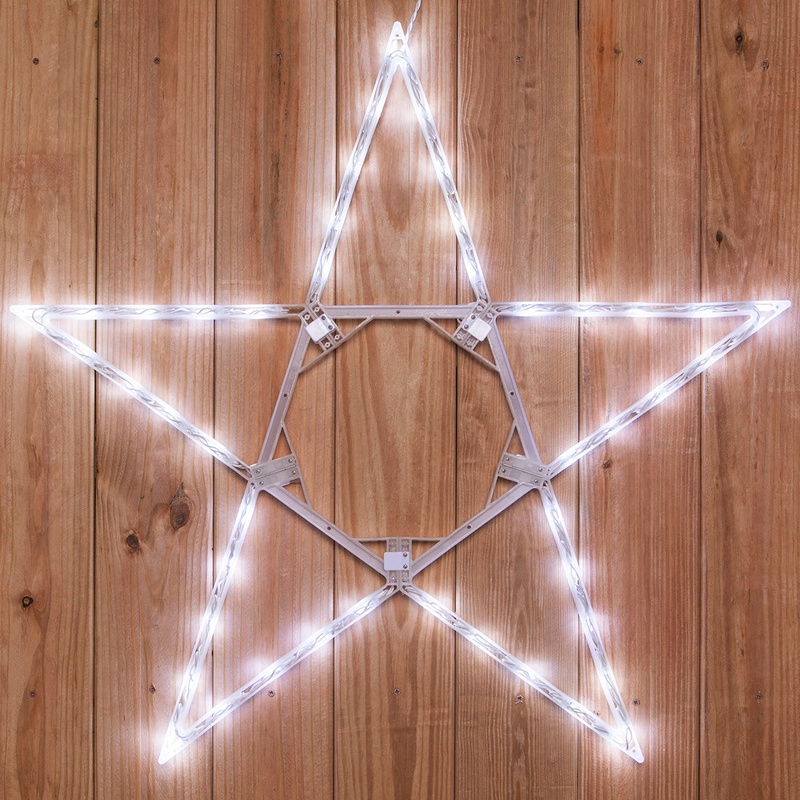 2D Folding Star Lights - They're bright, lined with long lasting LED lights and they fold up for easy storage! These 2D star designs with open centers look beautiful hung from tree branches or across the porch and can also be placed on flat surfaces like walls and slanted roof tops. Folding star lights are available in 32" & 45" sizes as well as giant 8' and 10' options. Moravian Stars - Almost two hundred years ago the Moravian Star design was born as the result of a school craft project. Needless to say, this beautiful star light has come a long way from its humble paper and glue beginnings. There are many types of moravian star lights including moravian style fold flat Aurora stars and moravian stars with removable twist-in spires. Aurora Superstars - The delicate beauty of paper lanterns meets durable and lightweight polypropylene to create stunning Aurora Superstars. Display Aurora star lights indoors or out and when you're ready to put them away, just fold them flat for convenient storage! You can even write on or paint Aurora Superstars to create a one-of-a-kind design. Metallic Polymesh Stars - Covered in a metallic-looking mesh weave, polymesh stars glitter in the daytime and shine bright at night thanks to the bright LED mini light bulbs hidden inside. These beautiful stars look amazing hanging outdoors and create gorgeous indoor ambient lighting that doubles as a decorative addition to any room when not in use. Flexible Neon Star Lights - These star lights have the charm of a vintage neon sign with all the high tech benefits of being LED! To create this eccentric star decoration, a flexible, translucent silicone is embedded with bright LED lights and then wrapped around a sturdy iron frame. The result is a rich glow that looks vintage, but with 17 animated functions built into the controller - this is anything but old-school neon. Star Lights with Reflective Acrylic Centers - LED rope light wraps around the frame of these star decorations and the reflective acrylic center creates a mesmerizing shimmering effect as the light dances on its surface. Hang reflective center star motifs near other lighted Christmas decorations and watch as the reflected lights come alive. Star String Lights - String lights with star shaped adornments are popular for use as bedroom lights and as a decorative addition to Christmas trees. Star string lights are available in a variety of colors and designs include glass, metal or acrylic stars and battery operated string lights. Ultimate Moravian - Commercial grade ultimate moravian stars are capable of thousands of color combination and are controlled using a remote with color wheel touch technology. 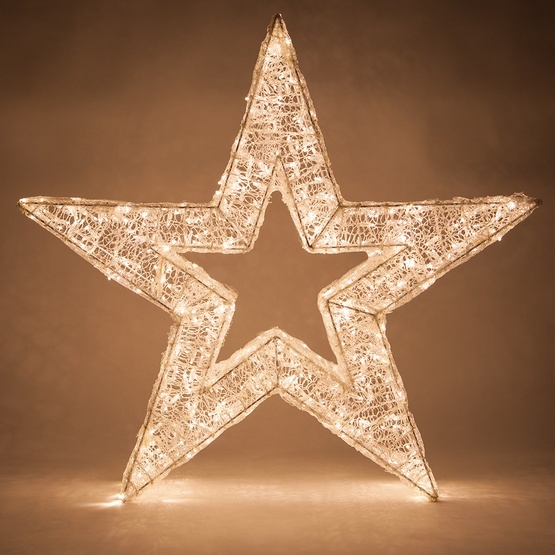 These show stopping star lights are designed to hang or sit at an angle and are perfect for use in business settings and large scale holiday displays. Star Christmas Tree Toppers - A classic complement to any Christmas tree, Star tree toppers are beautiful and eye catching decorations. Star tree toppers are available for trees from 4 feet tall to giant 16+ foot commercial Christmas trees. Some tree toppers change colors to create a dynamic light display atop the tree, while others feature faceted pendants that amplify the light within and create a shimmering display. Decorating with star lights goes far beyond Christmas. These beautiful lights are perfect for a variety of occasions from birthdays to special events, casual gatherings and even every day ambient lighting. Decorate with one star light style or several different types, and mix in other lighted decorations to create festive and fun displays. Hang lighted star decorations in a nursery or children's room as a fun and creative nightlight or ambient room light. We really love this idea for any room in the house! Aurora stars are a perfect craft project for a kid's birthday party! 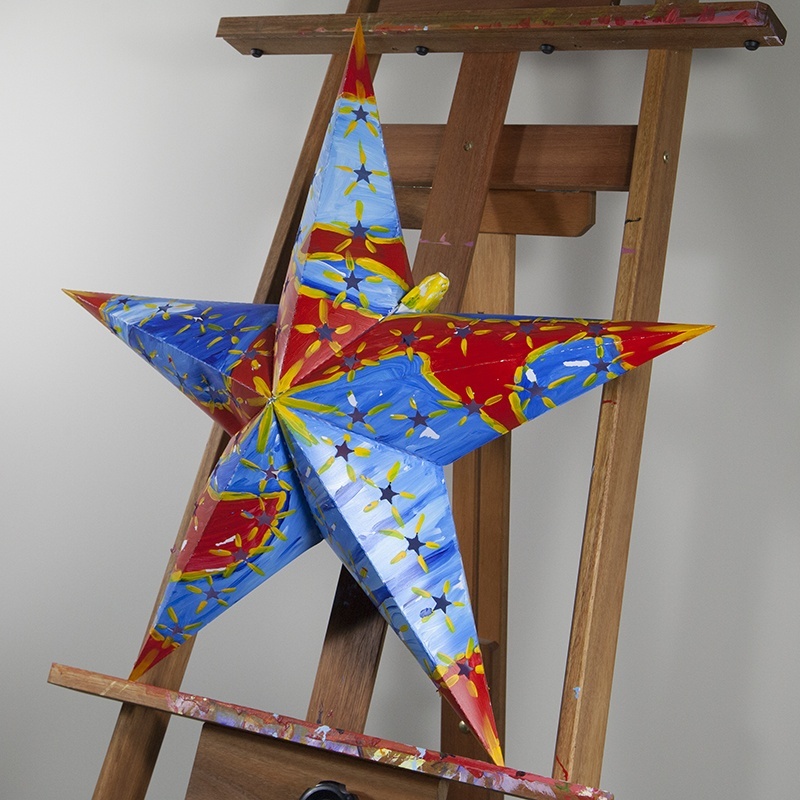 Have guests paint or draw on their star with markers, then they can take their special creation home as a party favor! Create a patriotic light display with red, white and blue star lights. Play with textures in your holiday displays by mixing in coordinating light balls in different sizes. 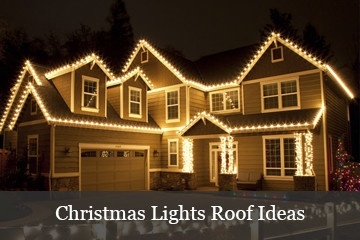 Place star lights on a slanted roof or attach them to a fence or across porch and stair railings. 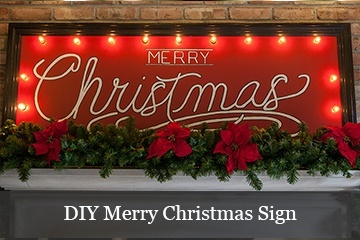 Hang a lighted star on the front door or above the mantel for a fun alternative to the Christmas wreath. Now, back to the shimmer of star lights..
Star light decorations are available in a large selection of color options with the most common being warm white and cool white. 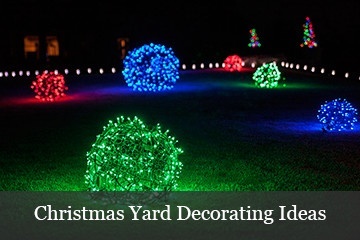 Deciding which white hue to use in your Christmas light display ultimately comes down to personal preference, but there are a few situations where you may want one white tone over the other. Warm white LED and incandescent star lights give off a cozy glow whereas cool white LED star lights produce a bright white glow. Both color options look great outdoors, however if you would like to decorate with star lights indoors, warm white may be best as it will complement the golden tones which are common in indoor ambient lighting, whereas cool white lights might be a bit too bright. Both hues mix well with red, however cool white LED lights are perfect if you want to mix bold colors like green or blue into your Christmas light display. Being short on storage space shouldn't mean you have to sacrifice your Christmas light display. If you're concerned about storing star light decorations or even snowflakes, we have great news! Several snowflake and star light decorations have the ability to fold up to a quarter of their size or even fold flat for convenient storage. Folding snowflake and star decorations are an innovative new design perfect for Christmas decorators who are short on storage space - just fold them up and store them on a shelf or in a drawer until next year!